Hulu is a website that provides episodes from various TV shows both old and new including The Office, Desperate Housewives, Angel and Buffy the Vampire Slayer, even though we Pirates don’t care much for Vampires. 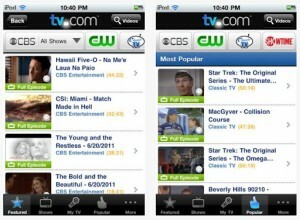 To make the content available to mobile users, Hulu Plus app was developed. This application is available for iOS users, as well as on Android. Downloading the application does not cost anything. However, you need to get the monthly subscription that costs $7.99 per month. Even if you have the app downloaded on your device, if you do not have the subscription, you will still not be able to gain access to the shows. The good news is that once subscribed, you can enjoy several programs from its huge library collection. It also supports 720p high-definition streaming giving ye buckos the best viewing experience ever. You can watch using WiFi, 3G and 4G so you have lots of options. But shiver me timbers! Even when you pay for a subscription, you may still get some advertisements when using the app. 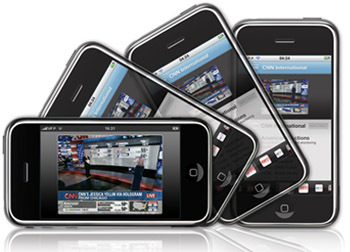 This is one of the most popular applications for watching TV on smartphones. Like Hulu Plus, it is also available for download without a cost but requires monthly subscription of $7.99. However, free one month trial is available so you have ample time to try the application and determine if this is the one for you. WiFi, 3G and 4G can be used for streaming the shows. Unlike other apps that have limited content when it comes to new shows, Netflix is updated regularly so you have wide range of show selections both for old and newer TV series. Yo ho ho! Watch unlimited shows whenever you want for a flat subscription fee. The new update offers more convenience to users. One of the new features that you can enjoy is the row for TV and movie recommendations. It will be easier to find shows that you may also like based on what you are watching. 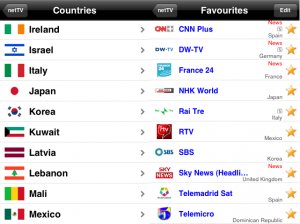 It also allows browsing on various categories, as well as searching for specific titles. It also has a feature that lets you continue watching the video that you last viewed but was not able to complete. This is more convenient as you don’t have to search for the video and find the part that you left off. If you are looking for an application that does not require any monthly subscription, TV.Com is one of the best choices. Ye fellows don’t need to spend ye booties to watch TV on your iPhone. It can also be downloaded for free. However, TV shows available are only limited. It offers shows from various CBS networks such as Showtime, CW and CBS. Connect using WiFi, 3G or 4G connectivity. If connecting to 3G or 4G and you are on a limited data plan, be careful on the time you spend for viewing if you do not want to pay more than your data subscription. You will not have problems with your data plan if you are connecting through WiFi. However, streaming may be affected if signal is weak. Nevertheless, this is a good app for something free. This application has a free and paid version. They have the same features but the paid version is ad free. If you want to test first if the app will satisfy you, you may download the free version. If seeing banner ads is not a problem when watching, ye buckos may continue using the free version. This way, ye lads will be able to save your gold coins from your treasure hunt. It has more than 400 channels available both local and international. The application does not have its own server for the shows provided. Instead, it uses free links from various sites online and makes them available on the application. Because of this, some of the contents may no longer work if the video has been removed from the source site. You may connect using WiFi for as long as you want. However, if using 3G, you can only watch shows for 10 minutes. If you prefer the ad-free app, you may download it for $2.99. OrbLive is a special app that allows you access to all types of media, such as movies from Hulu, Netflix, photos from Flickr or Facebook and music from Pandora. Aye, with Orb you can stream all the media you have stored in your computer, be it videos, songs or pictures. The great thing about Orb is that you don’t have to sync anything, simply connect it with your laptop if you wanna watch your favorite pictures or chill with some awesome music. Watching TV series is not easier than ever, through the in-app interface, you can simply tap your favorite TV Show icon and start watching it instantly. Another cool feature is broadcasting straight to your iPhone from your PC’s webcam if you have one. Avast, if you be kicking back too much I’m gonna make you walk the plank, savvy? 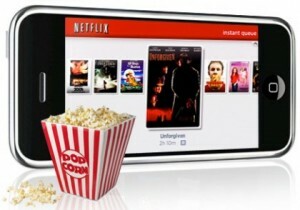 If you wanna watch TV on iPhone/iPad – then go to http://bit.ly/16cwesx There are a lot of awesome apps! Comments and feedback will guide us very much in this and your help would be appreciated in spreading the word.